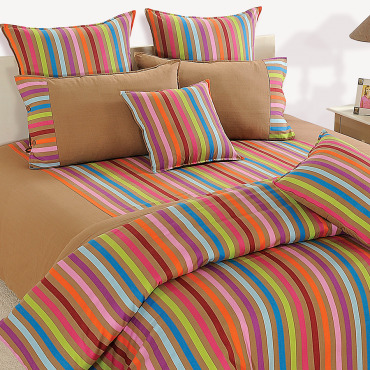 Reprise the spirit and surge a unique appearance into the room by adorning colorful stripe bed sheets that present a smart and dapper look to interiors in its intense stream of patterns and colour schemes. 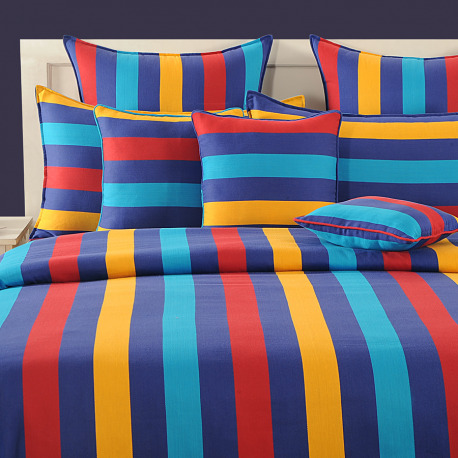 The bold stripes which are colored in various shades of blue and other coordinated colors like red and yellows help you define and highlight the theme decor in its full glare. 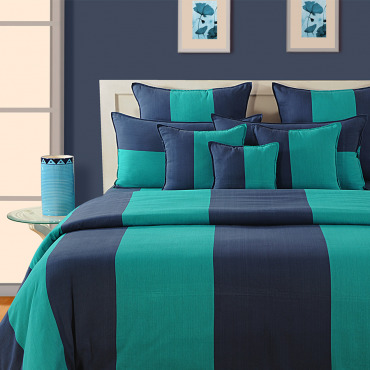 The intense backdrop of the blue shade would enamour a soothing template and strike a wonderful balance to the bright stripes. 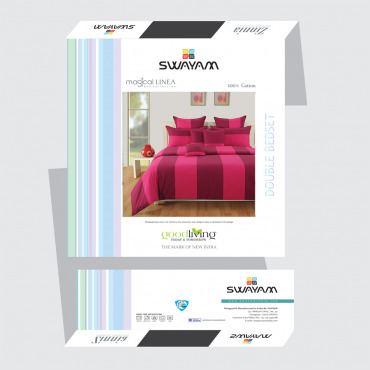 Buy Catching Colors Magical Linea bed sheets exclusively at Swayam India to own a stylish bed sheet for your decorate your bed and present a lavish and opulent appearance to your interiors. 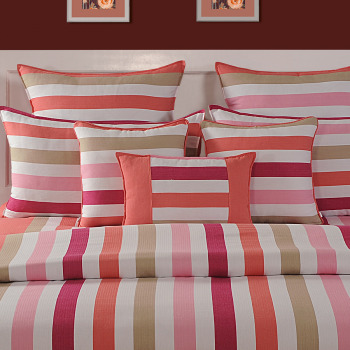 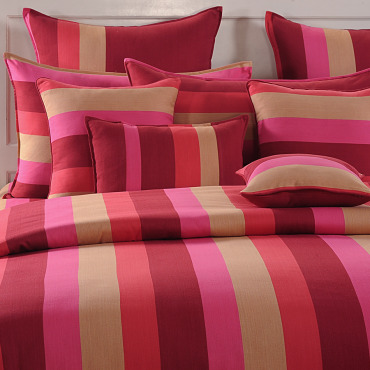 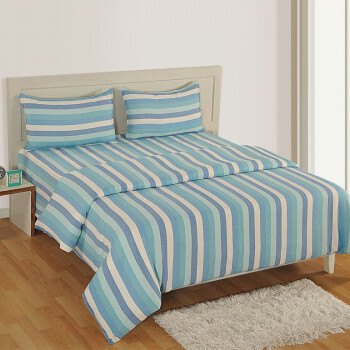 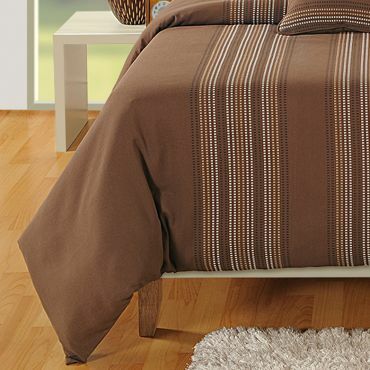 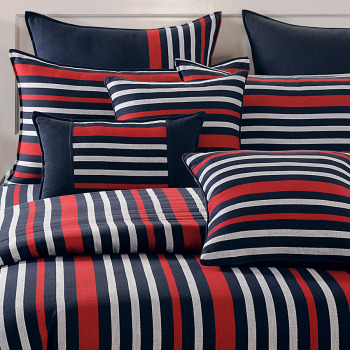 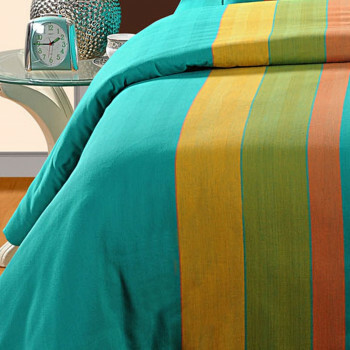 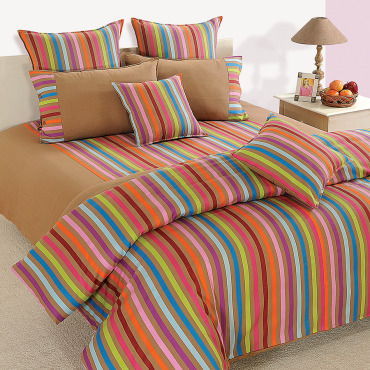 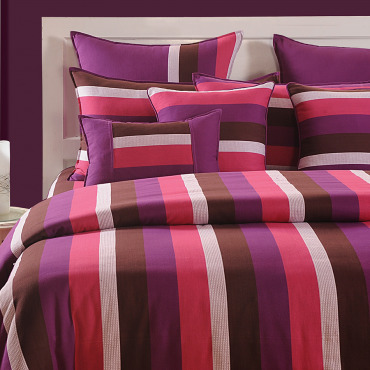 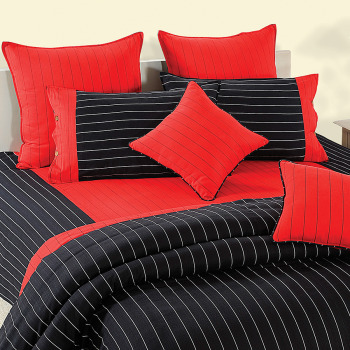 Apart from style, the basic essence of colorful stripe bed sheet emerges with its feature, comfort. 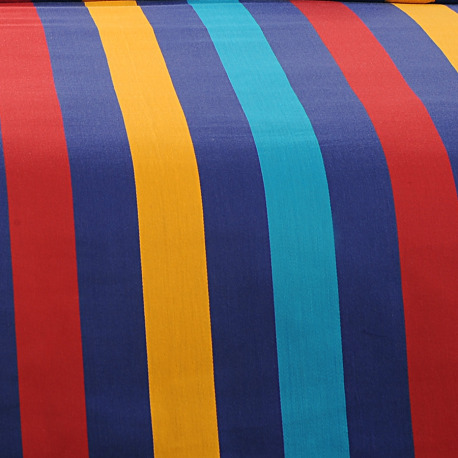 The chemical free natural fibers of the cotton fabrics would endure smooth and hygienic surroundings. 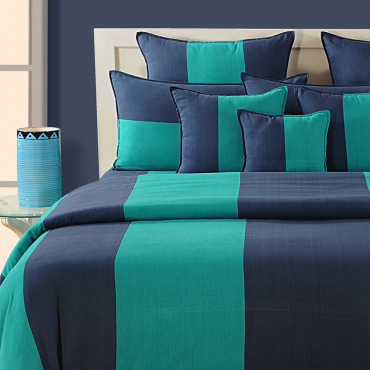 The sleeper would gain a full dose of nap as pure cotton bed sheets enables cool and airy feel in humid conditions and warm in cooler weather. 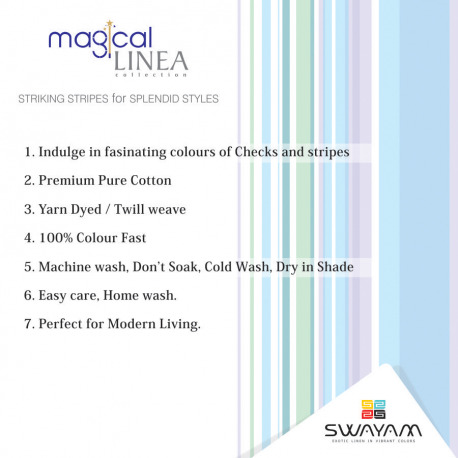 Buy catching colors magical Linea bed sheets exclusively from Swayam to embellish bed in s stylish and comforting linens. 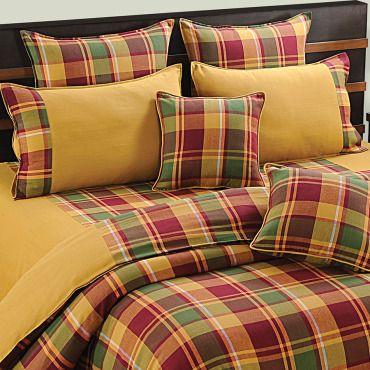 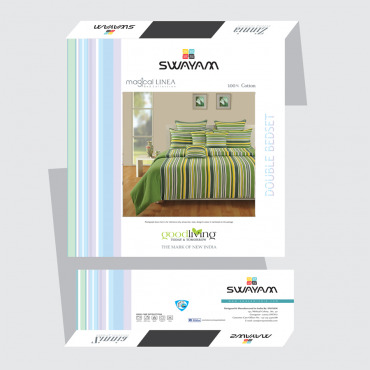 You can avail pure cotton bed sheets at www.swayamindia.com. 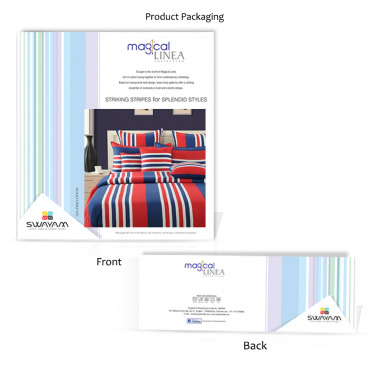 Browse website for payment, warranty and delivery details. 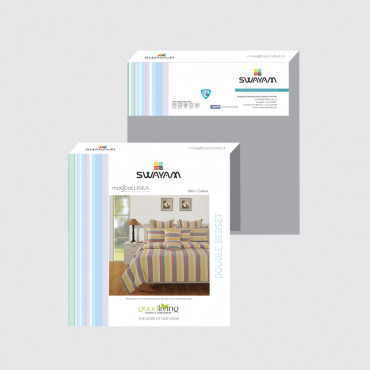 The services are available 24×7.